Diorama Room, UIN News Online â€“ As a state University, UIN Jakarta will continue to develop itself as a modern Islamic campus. One of the characteristics of modern Islam is accepting the idea of diversity, both ethnicity, religion, and culture. 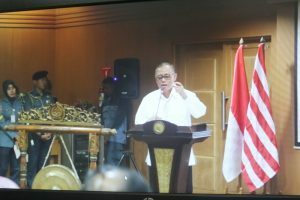 According to the Rector of UIN Jakarta Prof Dr Dede Rosyada MA, the study and thought developed at UIN Jakarta campus is to modernize the lives of Muslims, so that they become Muslims who are tolerant, inclusive, and appreciate the diversity. 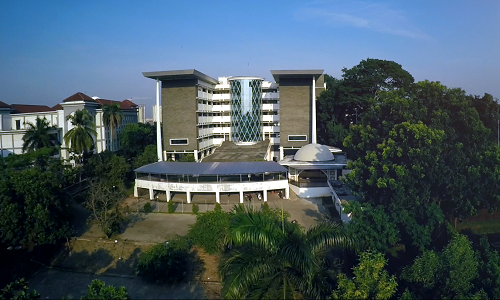 â€œUIN Jakarta is not only owned by Muslims but belongs to the nation. There are Christian, Catholic, and Confucian students in this campus. 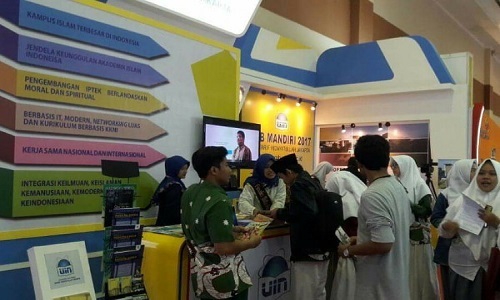 There was even a Catholic priest who managed to achieve his doctoral degree in UIN Jakarta,â€ said Dede while giving a speech during the opening of musabaqah tilawatil Qurâ€™an (MTQ) and musabaqah hifdhil Qurâ€™an (MHQ) competition for Jabodetabek inter-university students in diorama room, Monday, (6/12). Rector also asserted that UIN Jakarta wants to be a campus that upholding IslamÂ asÂ Rahmatan lilÂ ‘Alamin and appreciate the diversity. Modern thinking about Islam is how to think about Islam for today as well as for the future. “So we once again want to see how the Muslims always show an inclusive and tolerant attitude, and appreciate pluralism,” said Dede. Furthermore, Dede also mentioned about the existence of a group of people who want to uphold the concept of khilafah in Indonesia. He said that what has been viral in various media about the establishment of the khilafah, in the UIN Jakarta campus is no longer resonate. â€œEven if it exists, it is only limited to academic studies only,â€ he said. The Rector also added that it is not necessary to establish a khilafah state. Returning to the khilafah is meant to return to the dark history of Islamic monarchy. Monarchy, said the Rector, is clearly opposed the democratic system. Muslim in Indonesia currently enjoyed the democratization, because Islam is so close to democracy. Democracy in Indonesia, he explained, is a democracy based on the religion, not by culture. Similarly, Islam is not as a cultural heritage but as a teaching, while the khilafah is based on a culture.